Call (607) 277-9037 for an appointment! Call (607)277-9037 for an appointment! Hi! 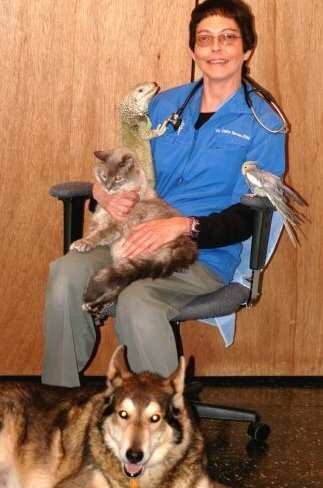 I'm Dr. Claire Berian, and I have been providing in-home veterinary care for over 20 years in Ithaca and the surrounding communities. I find that animals and the people who love them are often tremendously more comfortable receiving veterinary care when they are in the comfort of their own homes. I offer a wide variety of in-home veterinary healthcare services to pets. From routine preventive care for your pets to early detection and treatment of a wide range of conditions and diseases, referral options for in-hospital procedures, providing palliative care, counseling, and in-home euthanasia, I have the expertise to provide quality care for individual pet's needs at every stage of life. Call 607-277-9037 to make an appointment, or for information about my services. When I come to your house, it is helpful if you have available for review all records regarding each animal I am to meet. Please browse the website to learn more about my services for companion animals in Ithaca and the surrounding counties. Read information in the Pet Library, view videos, read testimonials, etc. Please call our office today at (607)277-9037 for all your pet health care needs. Hospice for Pets - Is it Right for You?